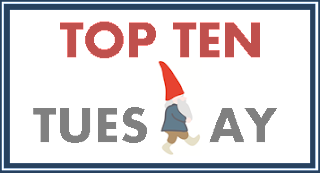 This list should NOT come as a surprise to anyone that has stopped by The Gnoming Librarian on a Top Ten Tuesday before. I talk about them A LOT. I dream of becoming their best friend because I'm convinced they would be just the kind of people I would love to hang out with, have adventures with, have long conversations about whatever with. This is, of course, ridiculous...alas, it's just the kind of thing I daydream about when I finish a book by one of these amazing authors. So who's on your nerdy "I will read everything they right" kind of list? What authors do you support sight unseen? Gail Carriger rocks! 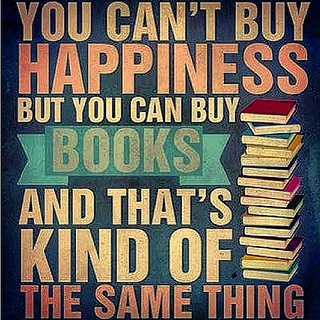 I have quite a few of these others in my TBR as we speak. Honestly, I don't know how you narrowed to 10. I couldn't even do that and after posting the TTT I keep thinking of more that should have been on my list! Totally agree. Afterwards I realized I had forgotten Ruta Sepetys and Neal Shusterman :) Oh the woes of book lovers. Fingers crossed, I hope to meet Gail Carriger at this year's YALLfest in Charleston! Althea Kotnis made my list too. Still haven't made it to Dearest yet, but I'm determined to read it by the end of the year! Thanks for stopping by! Thank you! I'm quite partial to gnomes, and I'm eagerly awaiting Mindy Kaling's newest book :) So glad you stopped by!